This website has been dedicated to helping citizens spot, understand, and make arguments about ethical and moral issues that arise in public discussion of climate change policies. A major objective of this effort has been to help proponents of climate change programs to respond to many arguments made by opponents of government action on climate that fail to pass reasonable ethical scrutiny. Armed with these ethical arguments, we have expected that proponents of stronger climate change policies would seek to hold accountable those governments, politicians, and opponents of climate change programs who have taken morally indefensible positions on climate change issues. That is we expected that strong moral arguments would be used either to convince governments or climate policy opponents of the moral unacceptability of their positions, or be used to pressure governments or individuals that continued to hold morally and ethically indefensible positions through the use of public shaming. In doing this work for over a decade, we have frequently encountered proponents of climate change policies who eschew tactics that seek to publicly shame opponents of climate change policies or governments even in cases where their positions are obviously ethically and morally indefensible. Instead of making ethical and moral arguments in response to the arguments of climate change policies opponents, climate change policy advocates have often focused on refuting the factual claims of the opponents’ arguments such as climate change policies will destroy the economy or are not warranted due to scientific uncertainty. .
II. Objections to the Use of Shaming Techniques to Enhance Climate Change Responses. Some proponents of climate change policies have explained their aversion to moral arguments made in response to the positions of opponents of climate policies on the basis that moral judgements are subjective and thus there is often no clear way of resolving disagreements about what justice and ethics requires. It is true that not all ethical issues raised by climate change lead to a consensus among ethicists as to what ethics and morality requires. For instance, reasonable people can disagree on what principles of distributive justice should guide fair allocations of national ghg emissions reduction targets. 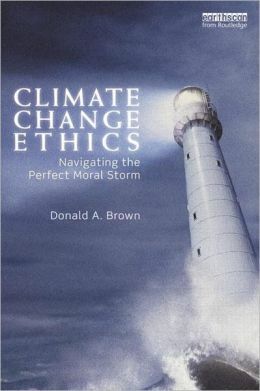 Yet, as we have explained on this website many times, many of the most frequent arguments made by opponents of climate change policies violate widely accepted ethical principles including: (a) the Golden Rule that holds that people have a duty to treat others with respect, (b) widely accepted human rights principles, (c) non-controversial precepts of procedural justice such as people should not put other people at great risk of harm without obtaining permission from those most vulnerable to harm, and (d) widely accepted principles of international law such as the “polluter pays” principle, the “no harm principle” and the “precautionary principle,” the last two of which were expressly agreed to by all nations when they agreed in 1992 to the United Nations Framework Convention on Climate Change (UNFCCC). First, climate change programs will impose unacceptable costs on the economy or destroy jobs, or other economic reasons to oppose action on climate change. Second, climate change emissions reductions programs are not warranted due to scientific uncertainty about whether humans are causing climate change and what the impacts will be. Third, for a government such as the United States to act would be unfair or ineffective until other countries including China and India take similar action. Citizens and environmental groups have unknowingly been tricked into responding to these arguments by making factual responses to these claims, such as climate change policies will increase jobs, despite the fact that each of these arguments contain hidden normative assumptions which clearly flunk minimum ethical scrutiny. For example, as we have seen, opponents of climate change policies have frequently based their opposition on the claim that action on climate change will destroy jobs or the the national economy. The response of NGOs and citizens to this argument has largely been to assert that climate change programs will create jobs and boost the economy. Yet this response unknowingly implicitly supports the very troublesome hidden normative assumption of the climate policy opponents’ argument, namely that the government should not adopt climate policies if the policies will hurt the government’s economic interests despite the fact that this argument is obviously wrong when viewed through an ethical lens because polluters not only have economic interests, they have moral responsibilities to not harm others. This conclusion is supported by: (a) the universally accepted Golden Rule which holds that someone should not be able to kill others because it would be costly to the killer to stop the killing behavior because people have duties to treat others as they wished to be treated, and (b) numerous widely accepted provisions of international law such as, among others, the “no harm” principle, the “polluter pays” principle Thus, the failure to respond to the arguments of the opponents of climate change policies on moral grounds is an astonishing oversight in light of the fact that the moral objection is very strong to anyone who claims that they can seriously harm others if their economic interests are threatened if they are required to limit their harmful activities. History is replete with examples of justifications made by some on economic grounds for their morally unacceptable behavior about which moral reasoning eventually prevailed. For instance. proponents of slavery often defended slavery on economic grounds, a position that was eventually widely rejected on moral grounds. Such a claim that nations may continue to engage in behavior that harms others as long as their economic interests will be affected by ceasing the behavior violates the most non-controversial ethical rules, not only the Golden Rule, but also many well accepted provisions of international law based on the Golden Rule such as a rule called the “no harm principle” which holds that all nations have a legal duty to prevent their citizens from harming people outside their jurisdiction. If citizens who support climate policies ignore the ethical problems with the arguments made by opponents of climate policies on the grounds that climate policies will impose costs on those who are harming others, they are playing into the hands of those responsible for putting the planet and millions of poor people at risk from climate change. And so, for 30 years, the opponents of climate change policies have succeeded in framing the climate debate in a way that has largely ignored obvious ethical and moral problems with their unwillingness to reduce the threat of climate change. A recent research project of Widener University Commonwealth Law School and the University of Auckland has revealed that surprisingly both environmental organizations and the press in many countries have failed to bring attention to the obvious moral problems with the arguments made by opponents of action on climate change. Can a nation justify its unwillingness to adopt climate change policies primarily on the basis of national economic interest alone? When is scientific uncertainty an ethically acceptable excuse for non-action for a potentially catastrophic problem like climate change given that waiting until the uncertainties are resolved makes the problem worse and more difficult to solve? Should proponents or opponents of climate change policies have the burden of proof to scientifically demonstrate that climate change is or is not a threat before climate change policies are in enacted? What level of proof, such as, for instance, 95% confidence levels or the balance of the evidence, is needed to demonstrate climate change is a threat that warrants policy responses? What amount of climate change harm is it ethically acceptable for a nation to impose on those nations or people outside their jurisdiction who will be harmed without their consent? To what extent does a nation’s financial ability to reduce ghg emissions create an ethical obligation to do so? What are the rights of potential victims of climate change to consent to a nation’s decision to delay national action on climate change pm the basis of national cost or scientific uncertainty? Who gets to decide what amount of global warming is acceptable? Do high emitting nations and individuals have a moral responsibility to pay for losses and damages caused climate change to people or nations who have done little to cause climate change? How should national ghg targets consider the per capita or historical emissions of the nation in establishing national climate commitments? Do poor, low-emitting nations have any moral responsibility to do something about climate change and what is it? When should a nation be bound by provisions of international law relevant to climate change that they agreed to including provisions in the United Nations Framework Convention on Climate Change such as the “no-harm,” and “precautionary principle” and the duty of developed nations to take the lead on climate change? Although there are legitimate differences of opinion on some of these issues among ethicists as to what justice requires, very strong, non-controversial ethical criticisms can be made of many of the positions held by many opponents of climate change on these issues, matters which have been frequently written about on this website. As Amaryta Sen and others have pointed out, one need not know what perfect justice requires to spot injustice. (Sen, 2009) For this reason, it is usually possible to strongly condemn many of the positions on these issues held by opponents of climate change policies even if there is reasonable disagreement on what justice requires. Thus, it is not necessary to get agreement on what perfect justice requires before strongly condemning some positions on climate change issues on moral and ethical grounds. It is not necessary to know what justice requires to condemn injustice. Another objection to relying on moral arguments to shame opponents of climate change sometimes heard, is that shaming will not change government or human behavior. Many times I have heard people say moral arguments don’t work, people only respond to self-interest. Yet naming nations who violates basic human rights and holding them up to ridicule, that is “naming and shaming”, has proven to be in many cases an effective tool to enlarge human rights protections around the world. Jennifer Jacquet, in a recent book Is Shaming Necessary? New Uses for an Old Tool, explains that shaming has proven to be an effective tool to change ethically unsupportable behavior of governments and institutions provided a shaming strategy is created that is mindful of lessons learned from successful “naming and shaming” programs. (Jacket, 2015) In addition, moral arguments have been key to creating social movements that have transformed society in cases such as slavery, child labor, women’s rights, children’s rights, human treatment of animals, etc. Yet shaming strategies should learn from what has worked in the past. As the international community heads to COP-21 in Paris next week, given that moral shaming always has the potential of achieving a change in government or individual behavior of those who justify their actions on ethically indefensible grounds and given that the global community is rapidly running out of time to prevent dangerous climate change due in large part to the success of opponents of climate change programs to frame the public climate debate in a way that avoids moral criticism, a strategy of publicly shaming nations. politicians, and opponents of needed climate change policies who refuse to be guided by their ethical responsibilities is needed now more than ever to get urgently needed action to reduce the immense threat of climate change. An effective shaming strategy should focus not on all issues where there is disagreement among parties but only on those positions which clearly flunk minimum ethical scrutiny. For instance, in the climate change debate because there is significant disagreement among countries about what equity framework should control how ghg emissions should be allocated among nations, a shaming strategy would not likely lead to a resolution of these contentious issues. Some negotiations about reasonable equity frameworks is likely necessary to arrive at a global position on what equity requires. However, as we have seen, a country that claims it can set its national ghg emissions reductions commitments on the basis of national economic interest alone can be subjected to strong ethical condemnation .Therefor, even on an issue such as what does equity require about which reasonable disagreement exists, the disagreement does not support the conclusion that anyone’s claim about what equity requires is entitled to respect. In fact, many nations and individuals have taken position on what equity requires that can be strongly condemned on non-controversial ethical grounds even though reasonable disagreement exits on what equity requires. For this reason, progress can be made even on the issue of what does ‘equity’ require by holding positions on this issue that fail to pass minimum ethical scrutiny to public scrutiny. Given that many nations continue to take positions on many issues that cannot be justified on any ethically acceptable reasons, there is a huge potential to pressure governments on ethical grounds in Paris and in subsequent negotiations provided that the governments or government officials are required to respond in a publicly transparent way to the ethical issues that must be faced in climate change policy formation. 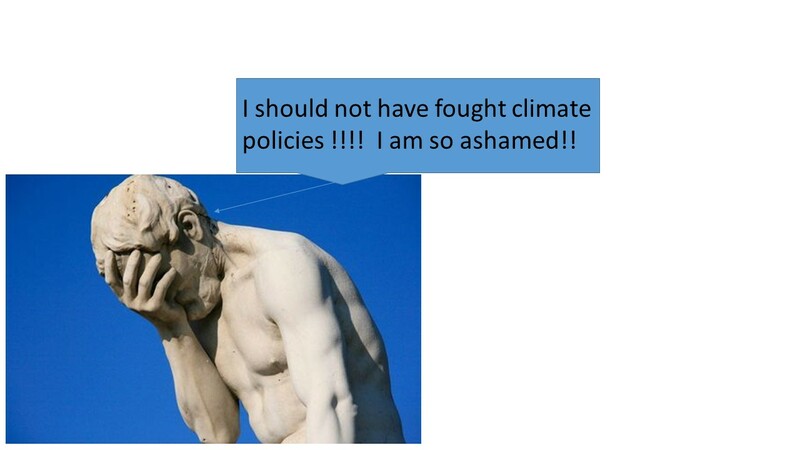 The potential success of a shaming strategy in Paris and beyond will be greatly enhanced if nations are required to respond on the record to questions asked by other governments and NGOs about how they responded to important ethical issues that must be faced in formulating their climate change policies. Such a mechanism under the UNFCCC has been under active discussion since the Lima COP in 2014. And so for a shaming strategy to be most effective, the UNFCCC negotiation outcome needs to establish a mechanism that forces nations to be transparent about the actual basis for their national climate commitments in regard to the ethical issues that must be faced in policy formation. And so to strengthen the power of a shaming strategy to bring needed change, the Paris negotiations should seek to create a process that will force nations to explain on the record how they have responded to moral issues raised by climate change policy formation. The Widener/Auckland research project mentioned above has concluded that nations will claim they have taken equity and justice into account without explaining quantitatively how they based their national commitments on specific equity frameworks or how a quantitative ghg emissions reduction leads to a safe atmospheric ghg concentration level that will limit warming to tolerable levels. Furthermore, this research reveals that the actual basis for many national climate commitments, known as INDCs (Intended Nationally Determined Contributions under the UNFCCC) was economic interests not global responsibilities yet nations have not revealed how economic considerations have affected their national commitments. For this reason an effective shaming strategy requires that the international community must create an obligation that governments respond to questions from governments and NGOs on the record relating to important ethical issues. Many human rights regimes have established these procedures. Because the Widener/Auckland research project identified above has concluded that nations will often disguise the actual basis for their national climate commitments, nations should be required to submit information with their INDCs that will allow citizens to better understand how their national INDC has responded to important ethical issues that must be faced in climate change policy formation.. For this reason, as we have explained on this website before, nations should:(a) report their ghg emissions reduction commitments in tons of CO2e rather than a percent reduction commitment from a baseline year, (b) the temperature limit and associated carbon budget that the INDC is seeking to achieve, (c) the equity principles that the nation relied on to assure the justice of its INDC, and (d) For Annex 1 countries, ghg emissions in 1990, the common baseline year. This information will allow clear evaluation of how nations have responded to ethical duties to reduce their ghg emissions to their fair share of safe global emissions. With shame, we are witnessing a very old tool being put to use on a relatively new problem. Humans have relied on shame since their evolutionary infancy to enforce social norms, and now it’s being used to urge action on climate change. How can we motivate the changes we need to curb global warming? As Jacquet points out, morality can evolve. It’s up to humans to render carbon pollution a moral ill and climate action a moral good. Shame may prove essential to that process. Creating a process under climate regime to shame nations on their moral failures will not be the first time that the international community has relied heavily on shaming to achieve widespread social shame. As we have noted, the spread of human rights regimes has, for instance, relied heavily on “naming and shaming” countries who fail to protect human rights. The success of efforts to increase enjoyment of human rights protection around the world is widely attributed to the ability of nations and human rights NGOs to question nations on their human rights record and the creation of a legal duty of nations to respond in writing to these questions. The climate change regime should follow the example of international human rights law on these issues. a. If Pope Francis is Right that Climate Change is a Moral Issue, How Should NGOs and Citizens Respond to Arguments Against Climate Policies Based on Scientific Uncertainty? c If Pope Francis is Right that Climate Change is a Moral Issue, How Should NGOs and Citizens Respond to Arguments Against Climate Policies Based on the Failure of Other Countries Like China to Act? The upcoming Paris negotiations may make progress on creating a transparent process that will allow other governments and citizens to shame governments who base their responses to climate change on ethically unsupportable grounds. This website will report regularly on what happens in Paris to make a shaming strategy more effective in reducing the threat of climate change. Sen, A., 2009, The Idea of Justice, Belknap Press of Harvard University Press, Cambridge, Massachusetts .